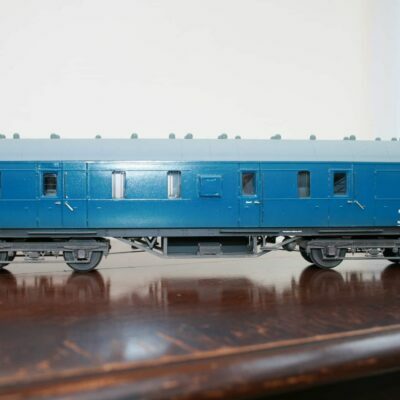 This “O” Gauge Devon Belle Observation Pullman Car running number M 280 M in carmine and cream livery was purchased directly from Golden Age Models Ltd. and has only been removed from the box for these photographic purposes. It has never been on display and is unused. The lighting is in working condition. The original box is in pristine condition.